Panelists from Howard University sat down with Dr. James Cone on Nov. 11 at the Andrew Rankin Chapel to discuss and critique the author’s latest book The Cross and the Lynching Tree. The panelists included Howard University professors Dr. Greg Carr of the Afro American Studies department, Dr. Ronald Hopson from the School of Divinity and Dr. Dana Williams of the English department as well as student Krystal Leaphart, the president of Howard’s NAACP chapter. 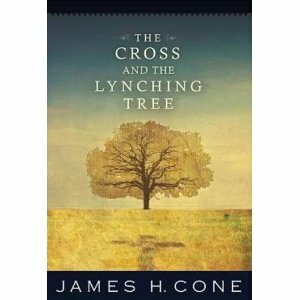 Cone discussed the premise of the book, which compares the crucifixion of Jesus Christ to the historical lynchings of African Americans in the United States and the ironic relationship between the two. For certain Whites, religion justified the lynchings of Blacks, and in the midst of the terrorism, Black people used their faith and the symbolism of the cross to endure those distressing times, Cone asserted. “Whites used Christianity to lynch Blacks, and Blacks used it to survive,” Cone said. Cone, a professor at Union Theological Seminary in New York, describes the odd relationship as “the great paradox,” and he said it is the source of his passion and inspiration for writing The Cross and the Lynching Tree. The author grew up in Arkansas, a southern state where lynchings were prevalent during the early and middle twentieth century. Although he was aware of the terrorist acts, further study peaked Cone’s curiosity. Leaphart spoke from a student’s perspective addressing the need to close the “intergenerational communication” gap between older African Americans and the youth. Although the Howard senior said she’s well read, she admitted a lack of knowledge concerning the Black experience as it relates to theology. “I think the intergenerational gap was caused by us [youth] and our parents, because they didn’t tell us the stories, and we didn’t ask them to tell us, so we aren’t sure of how to move forward,” she said. Dr. Williams praised Cone for making people aware of “the great paradox” and providing readers and scholars a space to discuss and critique his thoughts and findings. 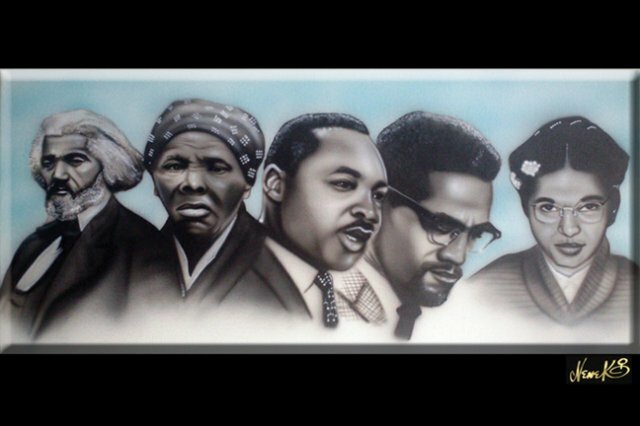 She also credited the author with positing the Black experience as a legitimate viewing of God and challenging the Black church to recognize its own Black experience. Every year at this time, Memorial Day is observed. It’s a time when Americans remember the service people who fought and died in the country’s various wars from the birth of this nation through the present day. The United States habitually involves itself in wars and conflicts abroad, declared or undeclared. In history classes, students learn about these battles and acknowledge the entirely too many lives lost in combat overseas. Unfortunately, the history books and Memorial Day observers fail to acknowledge and memorialize the soldiers who lost their lives fighting in wars at home and quite inexplicably, against home. I don’t mean the government and mainstream media-spawned “War on Drugs” and “War on Terror,” although this message is also dedicated to the victims of these illusory wars. In essence, I’m referring to the wars declared against individuals who merely wanted to enjoy their so-called irrevocable human rights but were denied such by the powers that be. During World War II, Black people across the country championed the Double V campaign in which African Americans committed to victory over totalitarianism abroad and victory over racism and discrimination on the home front. Since the 1940s, the reasons for America’s involvement in conflicts abroad have changed on the surface from combating communism to suppressing terrorism. Nevertheless, Americans pay homage to those service people who gave their lives fighting in America’s wars, whether justifiable or unjustifiable. 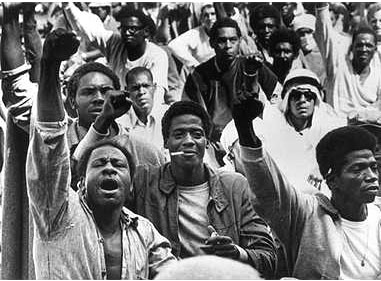 Although the Double V campaign was probably the only official campaign waged, Blacks and other marginalized minority groups have always fought against ostracism at home and against home. Just like the conflicts abroad, an exorbitant number of lives were lost on America’s soil. The sources of death have transformed from lynchings to trigger-happy law enforcement, capital punishment and vigilante oppression. On Memorial Day, we remember the deceased soldiers killed in other countries at the expense of “politics as usual” and America’s greed. Why can’t we salute our deceased freedom fighters who shed blood in the struggle for our God-given rights? This is not to discount the contributions of the men and women of the U.S. armed services, and it’s not a critical analysis of foreign policy and defense. I appreciate our service people for sacrificing it all, but this is a call to recognize—on Memorial Day—soldiers of another sort who paid that same ultimate price.